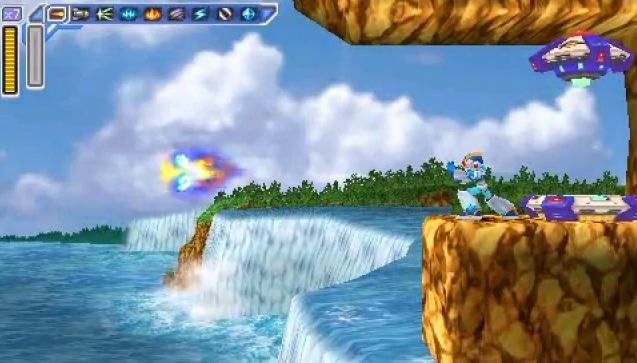 Mega Man X was one of those games that felt completely different from its predecessors. However, it didn’t re-invent the formula to the point where it no longer felt like the games we had known and loved for years. It still felt like you were playing a Mega Man game, but, much like the kids who had known the Blue Bomber so well, the franchise had grown up. Gone were the silly and repetitive Wily plots, friendly companions like Rush and Fliptop, and the awkward Man-monikers that creators had really started losing ideas for. Instead, we got a villain that was actually taller and more intimidating than the main character, a deeper story about a robot who questioned the very reason for his existence, a robot dude in red with long hair and a laser sword, and… what the hell is a Boomer Kuwanger? Indeed, it was quite different, but it all felt so familiar and awesome at the same time. The levels in prior Mega Man games sometimes had branching paths, but X took that to a whole other level. Sub Tanks, Heart Containers and suit upgrades were a must if you wanted a serious chance at beating Sigma, and the game really made you work for it by putting them in hard-to-reach places. Though it only happened for one level, I really liked how the consequences of defeating one Robot Master – er, I mean, Maverick Hunter – affected another stage. Sure, you can probably defeat Chill Penguin much easier if you have Flame Mammoth’s flamethrower weapon… at the same time, Flame Mammoth’s level is much less stressful (and easier to explore) once Chill Penguin has been dealt with. It’s like day and night, and it’s really quite neat. 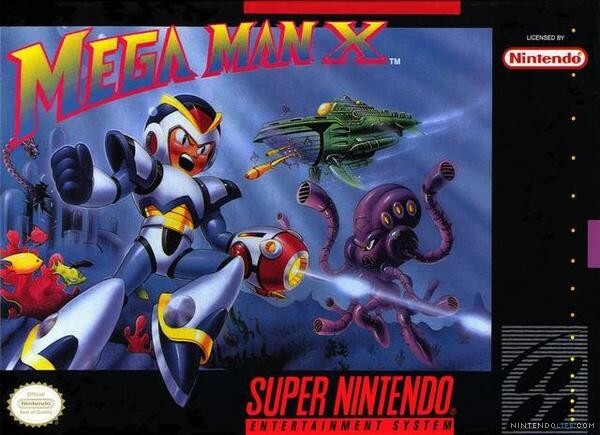 In the end, Mega Man X was one of the last Mega Man games to truly get me excited to play it. X2 and X3 were fun, but just didn’t live up to expectations set forth by the first game. This memory ties in closely with another game that I have yet to talk about, but I will share the second half of it when I talk about that particular game on my countdown. New Brunswick winters are kinda long, and we always experience a wide variety of weather. Rain, ice pellets, freezing rain, freezing fog, snow, or a mix of all the above makes it difficult to plan social outings. If you’re headed out into town on a night where the roads are sure to be quite slippery, you had better plan ahead! On one particular Saturday night in February, my mom was invited to our friends’ place for supper. I was tagging along, and I knew the weather was supposed to be bad later that evening. I also knew that, if it stayed cold, I was going to have a rough time getting to my friend’s birthday party the next day. After getting wind of what was being planned for the party, there was no way I was going to miss it! I brought my Super NES along with a few games, most notably Mega Man X. I had rented it the day before, and we had to return it on Sunday anyway – why not just bring it back to Blockbuster before or after Ryan’s birthday party? It just made sense. That night, I pretty much just stayed downstairs and played some games. I kept looking outside, hoping to see the weather turn bad. I liked sleepovers, and I really wanted to get to this party the next day, so I was really hoping for some crappy weather. I eventually came upstairs to try and get a good look at what the weather was like. I saw a downpour of (what I thought was) rain in the streetlight in the distance, but from the pinging sound coming from the windows, I knew it was ice pellets. That was it! That was all the convincing I needed. I hurried upstairs, put on my Toronto Blue Jays pyjamas and got ready for a night in. I didn’t ask my mom if we were staying, I just assumed we were. When I came back downstairs, though, all the grown-ups did was laugh and call me cute! I was crushed! I mean, c’mon, have you even LOOKED outside? It’s terrible! We’re not going anywhere, and we’re sleeping here tonight. End of story. My mom was trying to explain that we couldn’t just invite ourselves over for a sleepover, and that we’d have to make every effort we could to get home that night. I pleaded my case, and thankfully, the couple that owned the house said it really was no problem to stay over. We ended up staying the night, and going to the epic birthday party the next day was no trouble at all! I kinda feel bad when I think about it. I cornered my mother into making a decision she wasn’t comfortable with, even though the weather was probably fine to drive in that night. Mega Man: Powered Up) I regret not buying a PSP!